KICK START YOUR CAREER IN THE MUSIC INDUSTRY AS A BRITs APPRENTICE! 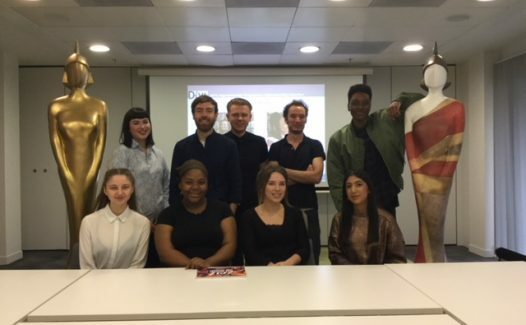 Following its launch in 2018, DiVA has again partnered with the BRITs and the BPI to deliver the second round of the BRITs Apprentice Scheme. The scheme gives ten people from across the UK and Ireland a unique, high quality, paid opportunity to work at a top independent record label or music company, learn about the recorded music industry, receive practical ‘hands-on’ experience, develop relevant skills and make key contacts. Absolute Label Services is a leading provider of tailor-made sales, marketing and business management solutions for independent record labels, single-artist labels and brand-owned music labels. Asian Arts Agency is one of the UK’s leading South Asian music agencies, presenting world-class South Asian music internationally. Over the last 10 years it has promoted more than 500 events across the UK and overseas, reaching in excess of one million live audiences. BMG is the first new international music company to be launched in the streaming age. Founded in 2008, the same week as Spotify, BMG is already world’s largest international music company outside the three established majors. Distiller Music is establishing its prestige as an independent label with an ear for the sounds of tomorrow, releasing records from some of the hottest up-and-comers on the circuit including Anteros, Bloody Knees, Cassia, The Ninth Wave, and The Ramona Flowers. It also pioneered Distiller TV, a leading platform in new music discovery. Originally founded in 1984, Fire Records is an established independent record label based in East London, releasing music across the sonic spectrum. The label works with a diverse range of artists from all over the world, including the likes of Hater (Sweden), Virginia Wing (UK), Kristin Hersh (USA), Jane Weaver (UK) and The Lemonheads (USA). As well as the current roster, catalogue artists include Pulp, ESG, Spacemen 3, Pere Ubu and The Groundhogs; in addition to this, the Earth label focuses on reissues of folk classics from Bert Jansch, The Music From Bagpuss and Trader Horne, while FROST releases soundtracks such as Ladybird, Blue Velvet, Black Mirror and many more. Kycker is a free online platform created for artists to use to manage their DIY careers and earn a sustainable income from their music. Artists can distribute their music to over 850 platforms, including iTunes, Spotify and more. Users are also able to claim performance royalties from all live shows and radio broadcasts at the push of a button. One Media iP is an exciting digital music and video business. It has a catalogue of over 250,000 music tracks, from a range of genres spanning soul to classical music and rock to pop, including from 1,700 diverse artists such as George McCrae, Merle Haggard, Ricky Valance, Edwin Starr, Evelyn Thomas, Mungo Jerry, Eric Burdon, the Troggs, Marv Johnson and Royal Philharmonic Orchestra. Revolver is an independent Record company, first created in 1979. The label has been an IFPI member since 1984 and a BPI member since 1988. In that time the label has released 6000 albums, and it currently produces new artists albums at around one to two per month. VDM Music is a music management company looking after artists and songwriters in an array of genres. It is a boutique company which it has built from scratch over 10 years ago. The company roster includes Nina Nesbitt, Olivia Sebastianelli and Robbie Jay. The scheme is open to individuals aged 18 and over. The apprenticeship will start in April 2019 and last 15 months. Successful candidates will receive specialist training in either business administration or content production. In London the salary will be £18k and outside it will be £15k to reflect lower living costs. The deadline for applications is 10th February 2019.